Camille Saint-Saëns – French composer. 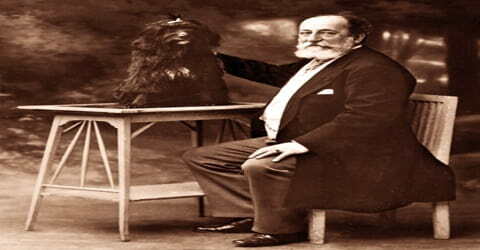 Camille Saint-Saëns, composer chiefly remembered for his symphonic poems the first of that genre to be written by a Frenchman and for his opera, Samson et Dalila was born in Paris on October 9, 1835. 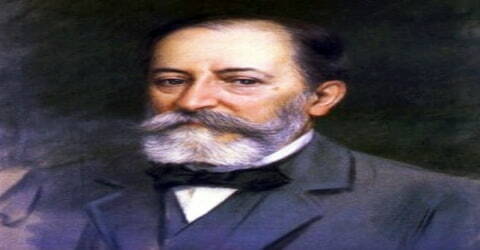 His best-known works include Introduction and Rondo Capriccioso (1863), the Second Piano Concerto (1868), the First Cello Concerto (1872), Danse macabre (1874), the opera Samson and Delilah (1877), the Third Violin Concerto (1880), the Third (“Organ”) Symphony (1886) and The Carnival of the Animals (1886). A major musical figure of the Romantic era, he was also a very successful pianist and a knowledgeable scholar of music history. He was a child prodigy in music who gave his first concert at the tender age of ten. Furthering his passion for music he studied organ and composition at the Paris Conservatory and went on to pursue a career as an organist at the famed Church of the Madeleine in Paris. As a young man, Saint-Saëns was enthusiastic for the most modern music of the day, particularly that of Schumann, Liszt, and Wagner, although his own compositions were generally within a conventional classical tradition. He was a scholar of musical history and remained committed to the structures worked out by earlier French composers. This brought him into conflict in his later years with composers of the impressionist and dodecaphonic schools of music; although there were neoclassical elements in his music, foreshadowing works by Stravinsky and Les Six, he was often regarded as a reactionary in the decades around the time of his death. Saint-Saëns was generally not a pioneer, though he did help to revive some earlier and largely forgotten dance forms, like the bourée and gavotte. He was a conservative who wrote many popular scores scattered throughout the various genres: the Piano Concerto No. 2, Symphony No. 3 (“Organ”), the symphonic poem Danse macabre, the opera Samson et Dalila, and probably his most widely performed work, The Carnival of The Animals. While he remained a composer closely tied to tradition and traditional forms in his later years, he did develop a more arid style, less colorful and, in the end, less appealing. He was also a poet and playwright of some distinction. Over the years he made a name for himself as a brilliant pianist and composer and established himself in a thriving freelance career. He was much sought-after not only in his native France but also in other European countries, Britain and the Americas. He also held a teaching position once, and even though he taught for less than a period of five years, he left a deep impact on the development of French music. In spite of his illustrious professional career, his personal life was not a happy one, consistently marred by familial problems. Camille Saint-Saëns, in full Charles-Camille Saint-Saëns, was born on 9 October 1835 as the only child of Jacques-Joseph-Victor Saint-Saëns and his wife, Françoise-Clémence in Paris. His father was an official in the French Ministry of the Interior, and Françoise-Clémence, née Collin. 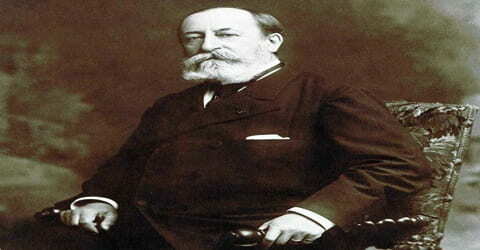 Unfortunately, Victor Saint-Saens died of an illness shortly after the birth of Camille. Thus he spent his childhood with his mother and her widowed aunt, Charlotte Masson, who taught the young boy the basics of piano playing. At age seven Saint-Saëns studied composition with Pierre Maledin. When he was ten, he gave a concert that included Beethoven’s Third Piano Concerto, Mozart’s B flat Concerto, K. 460, along with works by Bach, Handel, and Hummel. In his academic studies, he displayed the same genius, learning languages and advanced mathematics with ease and celerity. He would also develop keen, lifelong interests in geology and astronomy. At the age of thirteen, He enrolled at the Paris Conservatoire, France’s most important music academy, in 1848. There his student compositions included a symphony in A major (1850) and a choral piece, ‘Les Djinns’ (1850), to a poem by Victor Hugo. In 1851 Saint-Saëns won the Conservatoire’s top prize for organists, and in the same year, he began formal composition studies. His professor was a protégé of Cherubini, Fromental Halévy, whose pupils included Charles Gounod and Bizet. By his early twenties, following the composition of two symphonies, he had won the admiration and support of Berlioz, Liszt, Gounod, Rossini, and other notable figures. From 1853 to 1876, he held church organist posts; he also taught at the École Niedermeyer (1861-1865). 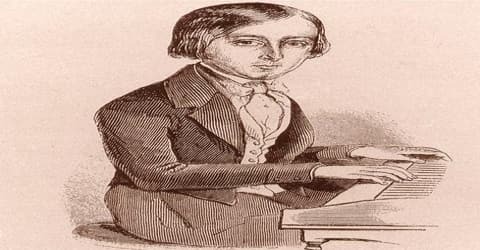 He composed much throughout his early years, turning out the 1853 Symphony in F (“Urbs Roma”), a Mass (1855) and several concertos, including the popular second, for piano (1868). 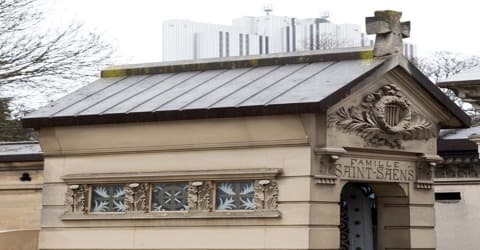 Throughout the 1860s and early 1870s, Saint-Saëns had continued to live a bachelor existence, sharing a large fourth-floor flat in the Rue du Faubourg Saint-Honoré with his mother. Then he fell in love with Marie-Laure Truffot, the young sister of one of his students, and married her in 1875. The groom was approaching forty and his bride was nineteen; the marriage was not a success. In the words of the biographer Sabina Teller Ratner, “Saint-Saëns’s mother disapproved, and her son was difficult to live with”. Saint-Saëns and his wife moved to the Rue Monsieur-le-Prince, in the Latin Quarter; his mother moved with them. The couple had two sons, both of who unfortunately died in infancy. The terrible loss deeply affected the couple and their marriage collapsed. He eventually separated from his a wife. After the breakdown of his marriage, he never became involved with any other woman. In his later years, he sought solace in the company of his friend and former pupil, Gabriel Fauré, and his family. A child prodigy on the piano, Saint-Saëns gave his first recital in 1846. He studied organ and composition at the Paris Conservatory, and in 1855 his Symphony No. 1 was performed. He became organist at the famed Church of the Madeleine in Paris in 1857, an association that lasted for 20 years. Liszt, whom he met about this time and with whom he formed an enduring friendship, described him as the finest organist in the world. From 1861 to 1865 he was a professor of piano at the Niedermeyer School, where his pupils included Gabriel Fauré and André Messager. Saint-Saëns played a key role in the creation of the National Society of Music in 1871 which promoted performances of the most significant French orchestral works of the coming generation. His first symphonic poem, ‘Le Rouet d’Omphale’ (Omphale’s Spinning Wheel), was also produced in the same year. In 1867 his cantata Les Noces de Prométhée beat more than a hundred other entries to win the composition prize of the Grande Fête Internationale in Paris, for which the jury included Auber, Berlioz, Gounod, Rossini, and Giuseppe Verdi. In 1868 he premiered the first of his orchestral works to gain a permanent place in the repertoire, his Second Piano Concerto. Playing this and other works he became a noted figure in the musical life of Paris and other cities in France and abroad during the 1860s. During the 1870s his music gained international prominence after he undertook a series of European tours to promote his music. He became the most famous French composer of his time with his operas and concerts. A dedicated traveler, he also toured Africa, the Middle and the Far East, Russia, and South America. In 1871 after the Franco-Prussian War, he helped found the National Society of Music, which promoted performances of the most significant French orchestral works of the succeeding generation. In the same year, he produced his first symphonic poem, Le Rouet d’Omphale (Omphale’s Spinning Wheel), which, with Danse macabre, is the most frequently performed of his four such works. His opera Samson et Dalila, rejected in Paris because of the prejudice against portraying biblical characters on the stage, was given in German at Weimar in 1877, on the recommendation of Liszt. It was finally staged in Paris in 1890 at the Théâtre Eden and later became his most popular opera. As an admirer of Liszt’s innovative symphonic poems, Saint-Saëns enthusiastically adopted the form; his first “poème Symphonique” was Le Rouet d’Omphale (1871), premiered at a concert of the Sociéte Nationale in January 1872. In the same year, after more than a decade of intermittent work on operatic scores, Saint-Saëns finally had one of his operas staged. La Princesse Jaune (“The Yellow Princess”), a one-act, light romantic piece, was given at the Opéra-Comique, Paris in June. It ran for five performances. In February 1877, he finally had a full-length opera staged. His four-act “drame lyricque”, Le timbre d’argent (“The Silver Bell”), to Jules Barbier’s and Michel Carré’s libretto, reminiscent of the Faust legend, had been in rehearsal in 1870, but the outbreak of war halted the production. The work was eventually presented by the Théâtre Lyrique company of Paris; it ran for eighteen performances. In 1878 Saint-Saëns lost both of his sons, and three years later he separated from his wife. Over the following years, he undertook extensive tours throughout Europe, the United States, South America, the Middle East, and East Asia, performing his five piano concerti and other keyboard works and conducting his symphonic compositions. As a pianist, he was admired by Richard Wagner for his brilliant technique and was the subject of a study by Marcel Proust. From roughly 1880 until the end of his life, his immense production covered all fields of dramatic and instrumental music. Saint-Saëns was a keen traveler. From the 1870s until the end of his life he made 179 trips to 27 countries. His professional engagements took him most often to Germany and England; for holidays, and to avoid Parisian winters which affected his weak chest, he favored Algiers and various places in Egypt. In December 1877, Saint-Saëns had a more solid operatic success, with Samson et Dalila, his one opera to gain and keep a place in the international repertoire. Because of its biblical subject, the composer had met many obstacles to its presentation in France, and through Liszt’s influence, the premiere was given at Weimar in a German translation. Although the work eventually became an international success it was not staged at the Paris Opéra until 1892. In 1886 the Philharmonic Society of London commissioned what became one of his most popular and respected works, the Third (“Organ”) Symphony. It was premiered in London at a concert in which Saint-Saëns appeared as conductor of the symphony and as soloist in Beethoven’s Fourth Piano Concerto, conducted by Sir Arthur Sullivan. The success of the symphony in London was considerable but was surpassed by the ecstatic welcome the work received at its Paris premiere early the following year. Later in 1887 Saint-Saëns’s “drame Lyrique” Proserpine opened at the Opéra-Comique. It was well received and seemed to be heading for a substantial run when the theatre burnt down within weeks of the premiere and the production was lost. 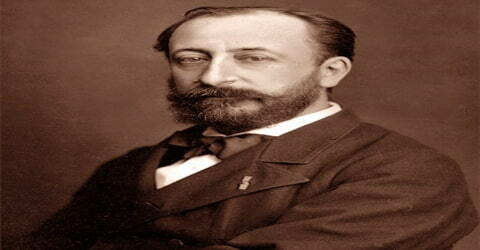 Saint-Saëns also remained very close to his mother, who had opposed his marriage. When she died in 1888, the composer fell into a deep depression, even contemplating suicide for a time. He did much travel in the years that followed and developed an interest in Algeria and Egypt, which eventually inspired him to write Africa (1891) and his Piano Concerto No. 5, the “Egyptian”. He also turned out works unrelated to exotic places, such as his popular and most enduring serious composition, Symphony No. 3. His Symphony No. 3 (1886), dedicated to the memory of Liszt, made skilled use of the organ and two pianos. In the same year, he wrote Le Carnaval des Animaux (The Carnival of Animals) for small orchestra, a humorous fantasy not performed during his lifetime that has since won considerable popularity as a work for young people’s concerts. Among the best of his later works are the Piano Concerto No. 5 (1895) and the Cello Concerto No. 2 (1902). 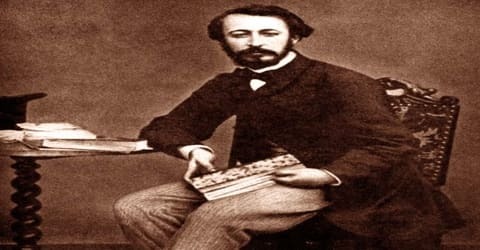 Curiously, after 1890, Saint-Saëns’ music was regarded with some condescension in his homeland, while in England and the United States he was hailed as France’s greatest living composer well into the twentieth century. Saint-Saëns experienced an especially triumphant concert tour when he visited the U.S. in 1915. In the last two decades of his life, he remained attached to his dogs and was largely a loner. Saint-Saëns was made a Chevalier of the Legion of Honour in 1867. Later on, he was promoted to Officier in 1884 and Grand Croix in 1913. 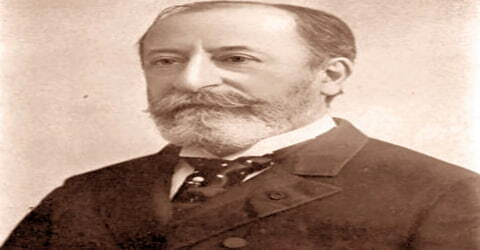 Saint-Saëns also received several foreign honors including the British Royal Victorian Order (CVO) in 1902. In addition, he is the recipient of honorary doctorates from the universities of Cambridge (1892) and Oxford (1907). Camille Saint-Saëns died of a heart attack on 16 December 1921. His body was taken back to Paris, and after a state funeral at the Madeleine, he was buried at the Cimetière de Montparnasse. Heavily veiled, in an inconspicuous place among the mourners from France’s political and artistic élite, was his widow, Marie-Laure, whom he had last seen in 1881. Saint-Saëns is best known for his ‘Samson et Dalila’, a grand opera in three acts based on the Biblical tale of Samson and Delilah found in Chapter 16 of the Book of Judges in the Old Testament. First performed in Weimar at the Grossherzogliches (Grand Ducal) Theater on 2 December 1877, it is his only opera which is regularly performed. Though he lived through the period of Wagner’s influence, Saint-Saëns remained unaffected by it and adhered to the classical models, upholding a conservative ideal of French music that emphasized polished craftsmanship and a sense of form. In his essays and memoirs, he described the contemporary musical scene in a shrewd and often ironic manner.